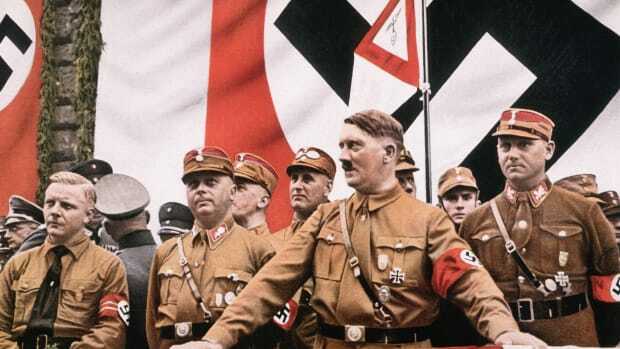 Founded in 1925, the “Schutzstaffel,” German for “Protective Echelon,” initially served as Nazi Party leader Adolf Hitler’s (1889-1945) personal bodyguards, and later became one of the most powerful and feared organizations in all of Nazi Germany. Heinrich Himmler (1900-45), a fervent anti-Semite like Hitler, became head of the Schutzstaffel, or SS, in 1929 and expanded the group’s role and size. Recruits, who had to prove none of their ancestors were Jewish, received military training and were also taught they were the elite not only of the Nazi Party but of all humankind. 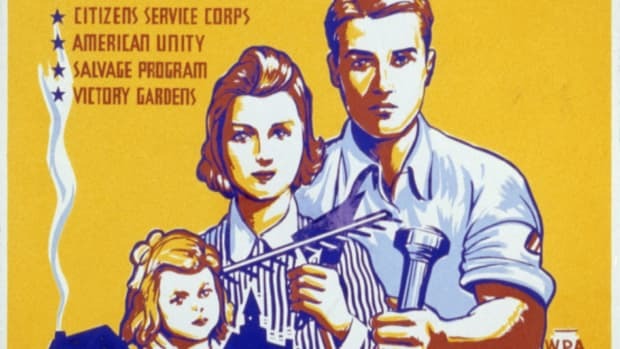 By the start of World War II (1939-45), the SS had more than 250,000 members and multiple subdivisions, engaged in activities ranging from intelligence operations to running Nazi concentration camps. 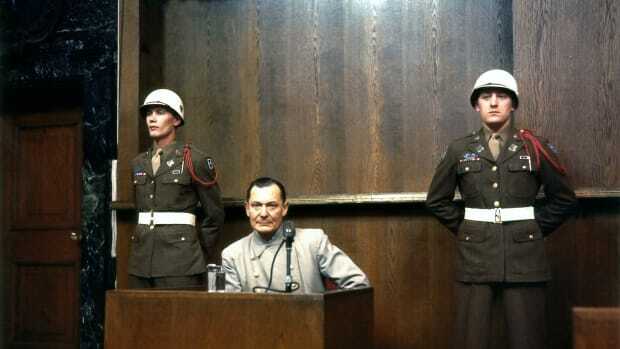 At the postwar Nuremberg trials, the SS was deemed a criminal organization for its direct involvement in war crimes. Did you know? 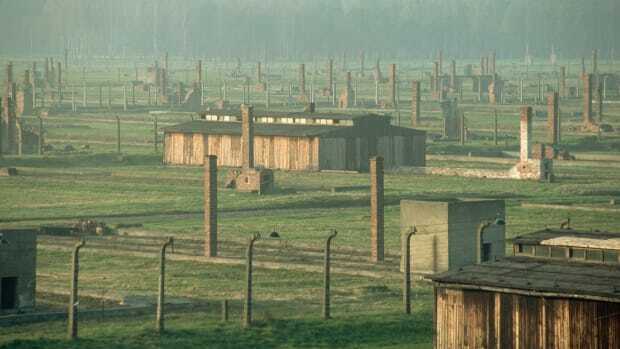 A separate wing of the Dachau concentration camp was set aside for SS members found guilty of committing serious infractions. 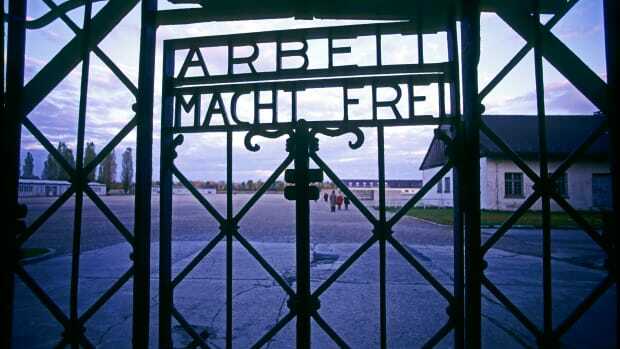 Close to 130 SS members were interned at Dachau when the camp was liberated by U.S. military forces on April 29, 1945. By the end of 1921, Hitler had his own private army, the “Sturmabteilung” (“Assault Division”), or SA, whose members were known as storm troopers or brown shirts (for the color of their uniforms). 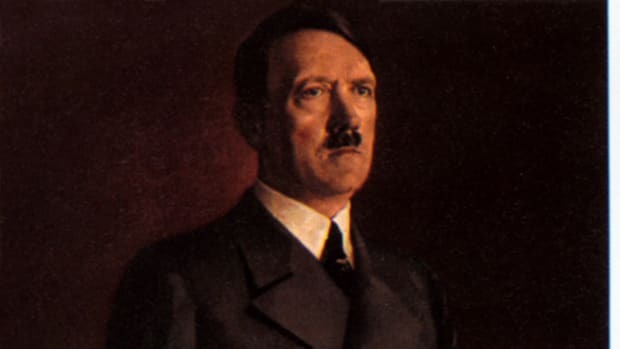 The SA accompanied Hitler during his public appearances and surrounded him when he made impassioned speeches urging his supporters to perpetrate violence against Jews and his political adversaries. In 1925, Hitler ordered the formation of the Schutzstaffel, an entity that was separate from, although linked to, the SA. The SS initially consisted of eight individuals, all of whom were entrusted to personally guard Hitler and other top Nazis. Julius Schreck (1898-1936), a dedicated Hitler loyalist, became the first commander of the SS. The following year, Schreck, who frequently wore a fake moustache that resembled Hitler’s, was replaced by Joseph Berchtold (1897-1962). Erhard Heiden (1901-33) took control of the SS in 1927. That same year, SS members were banned from partaking in political debate and were required to profess undying loyalty to Hitler and unquestioningly acknowledge him as their one and only prophet. On January 6, 1929, Hitler named Heinrich Himmler commander of the SS, which at the time had close to 300 members. Himmler, who like Hitler was a fervent anti-Semite, had joined the Nazi Party in 1923 and eventually served as Hitler’s deputy propaganda chief. Himmler was determined to separate the SS from the SA, transform the SS into an elite force that was larger and more potent than the SA and, finally, alter the function of the organization within the Nazi Party. By 1932, the SS had grown to include thousands of members, and the group began wearing all-black uniforms. 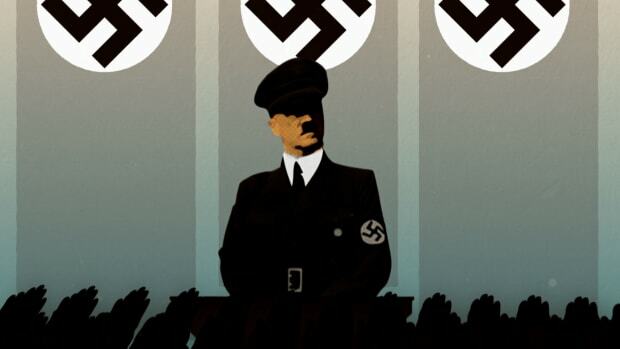 When Hitler became Germany’s chancellor on January 30, 1933, SS membership had increased to over 50,000. In March of that year, Himmler announced the opening of the first Nazi concentration camp, in the town of Dachau, Germany. 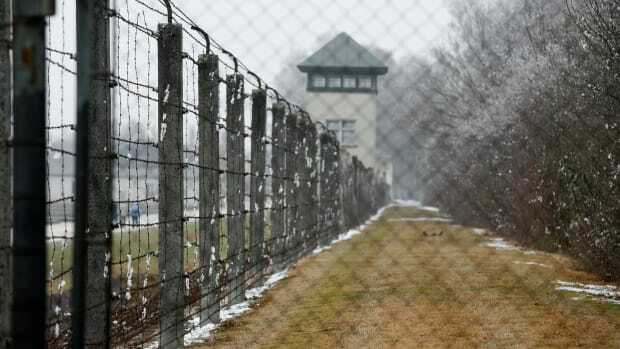 The camp initially housed political prisoners who opposed the Nazis. In April 1934, Himmler was named head of Germany’s secret state police, the “Geheime Staatspolizei,” more commonly known as the “Gestapo.” The Gestapo, which had been established the previous year, was charged with tracking down and arresting Hitler’s adversaries. 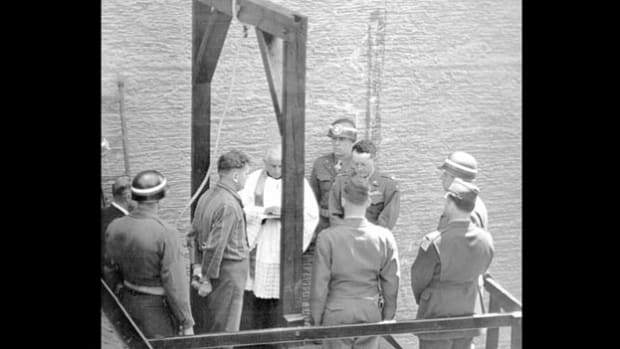 Without benefit of trial, these alleged enemies either were executed or dispatched to concentration camps. At the same time, Himmler was one of the primary behind-the-scenes forces in the removal from power of Ernst Röhm (1887-1934), head of the SA. On June 30, 1934, during a purge of major SA officials that came to be known as the “Night of the Long Knives,” Röhm was arrested. He was executed several days later. The elimination of Röhm further increased Himmler’s profile within the Nazi hierarchy and partially led to him becoming one of the most powerful and feared men in all of Nazi Germany. During the mid-1930s, two significant SS subdivisions came into existence. One was the “SS Verfügungstruppen,” or SS-VT, a military unit whose members were quartered in barracks. In order to be accepted into the SS-VT, recruits had to agree to a four-year compulsory terms of service. The second subdivision was the “Totenkopfverbande,” or “Death’s Head Unit,” whose members operated Hitler’s concentration camps. The Totenkopfverbande was so named because the caps worn by its members were decorated with an insignia that featured the image of a skull. This emblem was not meant to imply that the Totenkopfverbande was carrying out murderous acts. Rather, it symbolized that the unit was committed to remaining faithful to Hitler to the death. At the outset of World War II (1939-45), by which time SS membership numbered more than 250,000, Himmler established the “Waffen-SS,” or “Armed-SS,” essentially an expanded version of the SS-VT. The Waffen-SS consisted of a cadre of combat troops who specialized in brutalizing and murdering individuals in territories occupied by the Nazis. 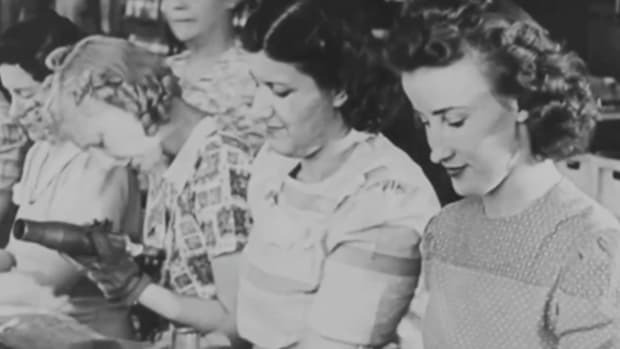 They were also involved in the daily operation of Hitler’s death camps. Within six months of its formation, Waffen-SS members numbered 150,000, according to some reports. Not all were German nationals. In 1940, Himmler proposed the recruitment of non-German citizens, and the Waffen-SS eventually included ethnic Germans who hailed from Hungary, Yugoslavia, Romania and elsewhere, along with volunteers from practically every country the Nazis annexed, as well as Great Britain. For example, the Waffen-SS Charlemagne Division, formed in 1944, consisted of over 20,000 Frenchmen. As the war progressed, accounts differed as to the actual number of SS and Waffen-SS members. According to one report, by June 1944, 800,000 Nazis and Nazi supporters had been accepted into the SS and its subdivisions. Another account cited Waffen-SS membership alone at between 800,000 and 910,000 in October 1944. 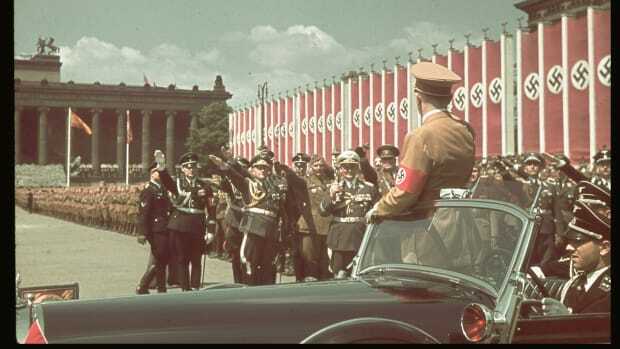 In 1945, as the defeat of Nazi Germany seemed increasingly certain, Himmler became chief organizer of the “Volkssturm,” or “People’s Storm Troop,” a unit whose members were the polar opposite of those who qualified for the SS. The Volkssturm consisted of a cobbled-together army of teenage boys and elderly men whose improbable task was to be the last line of resistance against the Allies. As Germany went down to defeat, Himmler was captured by Allied soldiers. 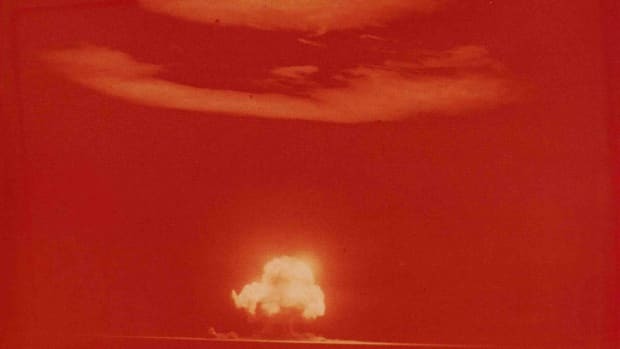 He committed suicide on May 23, 1945, by ingesting a cyanide capsule. 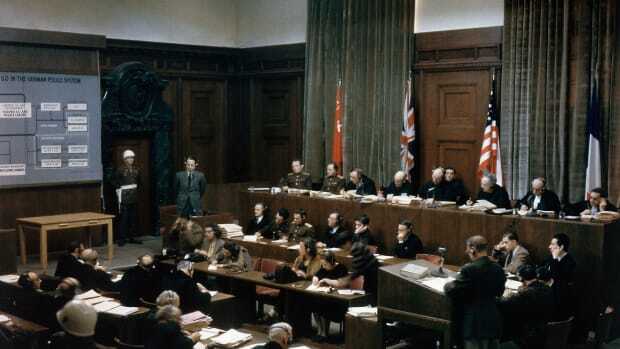 Following World War II, the Nuremberg military tribunals, in session from 1945 to 1949, were empowered to bring war criminals to justice. The tribunal declared the SS a criminal organization because of its direct involvement in committing war atrocities.